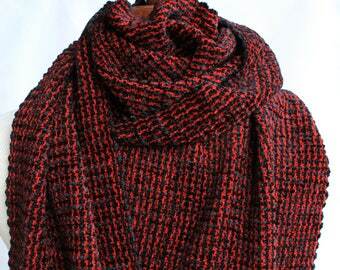 Hand woven textiles designed and created in Vermont. 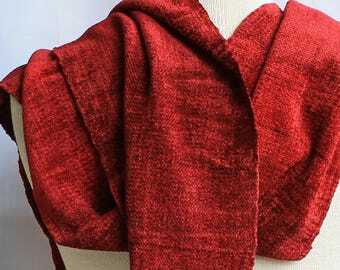 Announcement Welcome to Vermont Woven Designs! I hope you will also enjoy my vintage Etsy shop at Vermont Sentiments. I first learned to weave when I was 11 years old. My favorite traveling art teacher set up a loom in my classroom with instructions on how to weave and I was hooked. With a degree in art education, I have both taught and created textiles all my life. Design, color, fibers, fashion and historic textiles all play a part in my weaving. I use the best and safest materials I can find and take pride in a job well done. I do all my own work in my home studio setting up one of my 5 looms, creating my own designs and meticulously finishing each piece. My hope is that each textile brings comfort, pleasure and beauty to its owner. Welcome to Vermont Woven Designs! Lustrous, beautiful, soft, and high quality. Thank you! Would certainly buy from again. Scarf is beautiful and I can tell it will last a long time! Quality workmanship. Love these! Great condition, really enhanced my handspinning quality and experience! Thank you! !